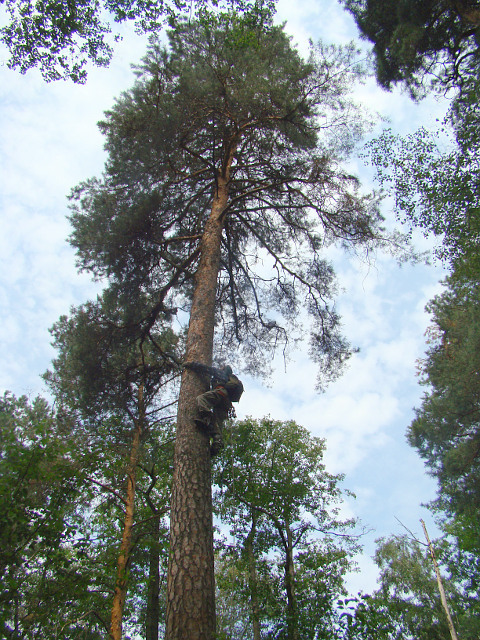 25.07 − 1.08.2010 it took place the joint expedition of the Ukrainian Birds of Prey Research Centre and Slovak ornithologists, directed at studying raptors in the north of Ukraine. Our guests was Miroslav Dravecky – coordinator on the Lesser Spotted Eagle in Slovakia, Miroslav Lehocky – expert on birds of prey, staff-worker of the Slovak Paradise National Park, Milan Oleksak – a representative of the Ringing Centre “Drienovec”, located at the territory of the Slovak Karst National Park. 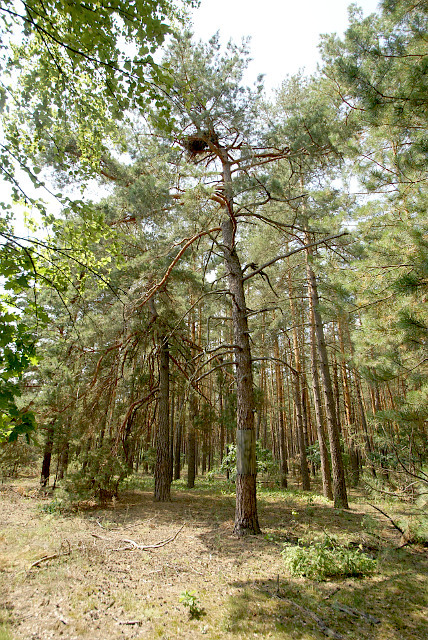 The Slovak colleagues were interested to observe very rare species for their country – Short-toed Eagle и Booted Eagle. At the present time in Slovakia breeds only one pair of the Short-toed Eagles, living in the eastern part of the country, while the Booted Eagle disappeared on breeding. Therefore we decided to visit Polissia where the Short-toed Eagle is distributed rather widely and, if possible, to come to the south of the forest-steppe zone for our guests to have chance of seeing the Booted Eagle. For Ukrainian ornithologists, this expedition gave the opportunity to monitor already known pairs of birds of prey and receive new data on their distribution. 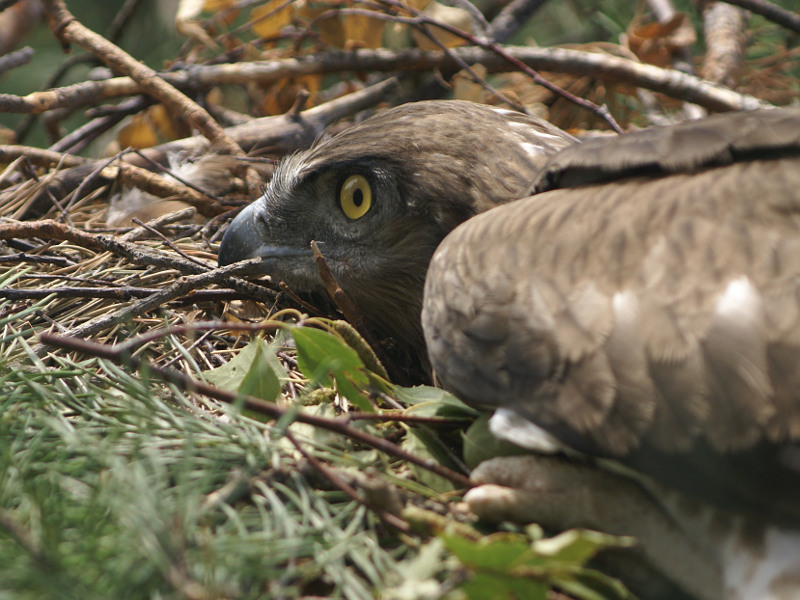 To investigate nests and observe the Short-toed Eagles we decided to visit Kyiv, Zhytomyr and Chernihiv Regions as this raptor is rather regular there. 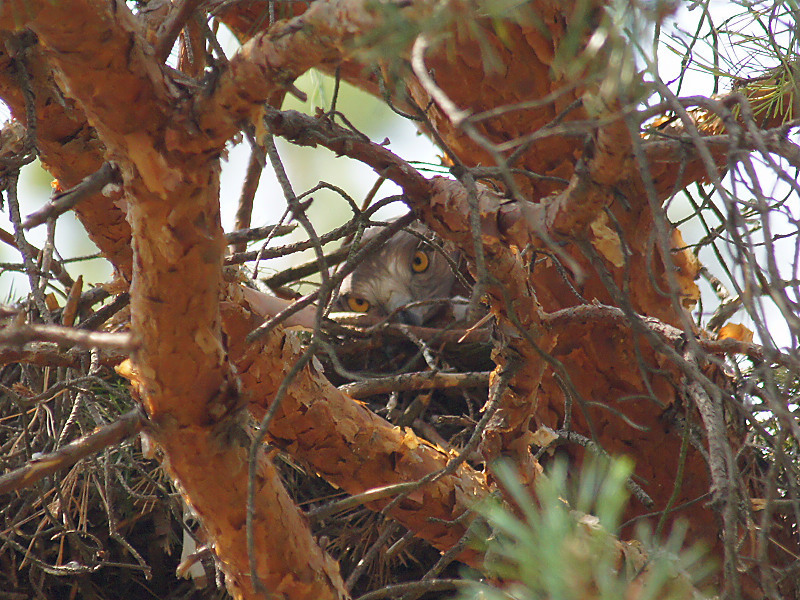 Thanking to Konstantin Pismennyi, our expert on the Short-toed Eagle, for six years involved in monitoring of these birds in Polissia, in one day we managed to visit 3 nests of this raptor, hidden and careful on its breeding sites. Unfortunately the first nest was empty. Reasons of the chick’s death remained unknown. 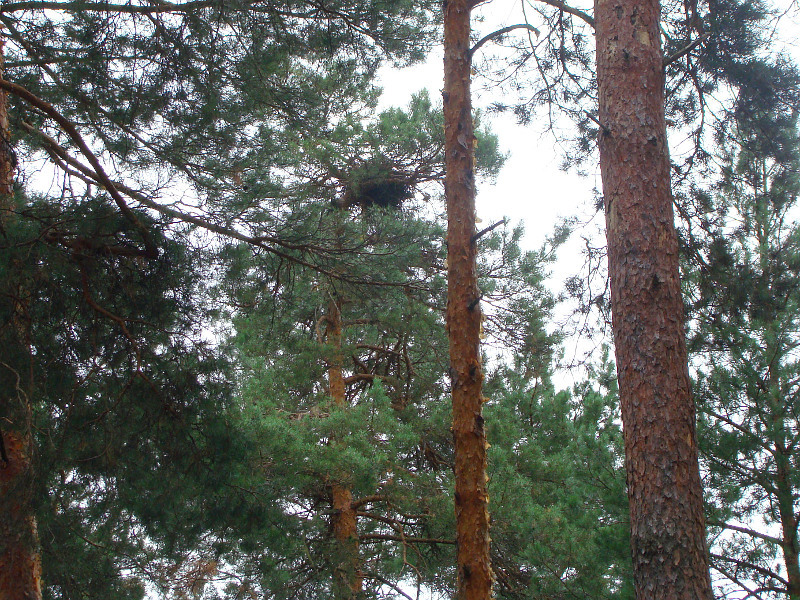 The second nest, located at the side branch of a high pine-tree, contained rather a large chick. Miroslav Dravecky made a climbing on this rather difficult tree and took photos of the chick. 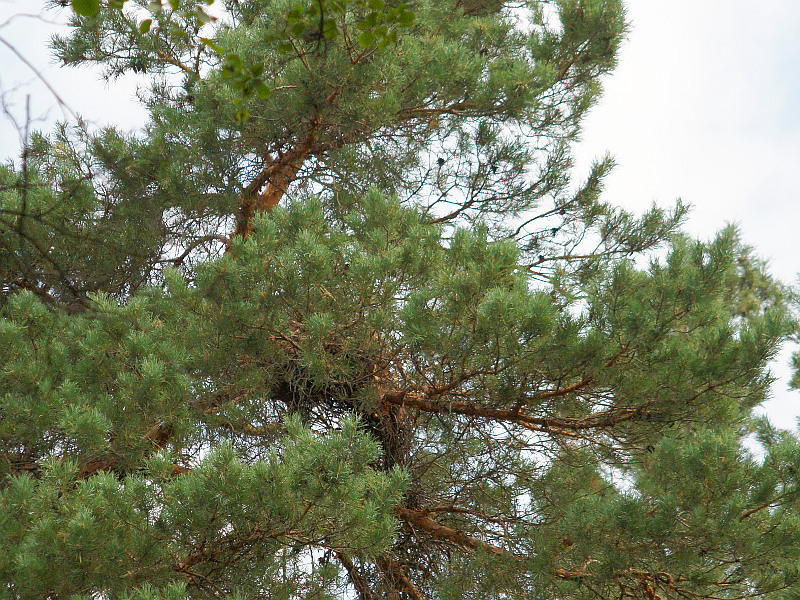 The third nest (placed in the territory of the Regional Landscape Park “Mezhrechensky”) has been under our observation already for a long time; in winter we installed anti-marten protection at the trunk of the nest pine-tree. This nest also contained a large chick. The hidden juvenile was seen through optics. Not to disturb the pair we were satisfied with observations from ground. To observe hunting Short-toed Eagles we have done prolonged stops in the river valleys of the Zdvyzh, Teteriv, Irsha and Desna. 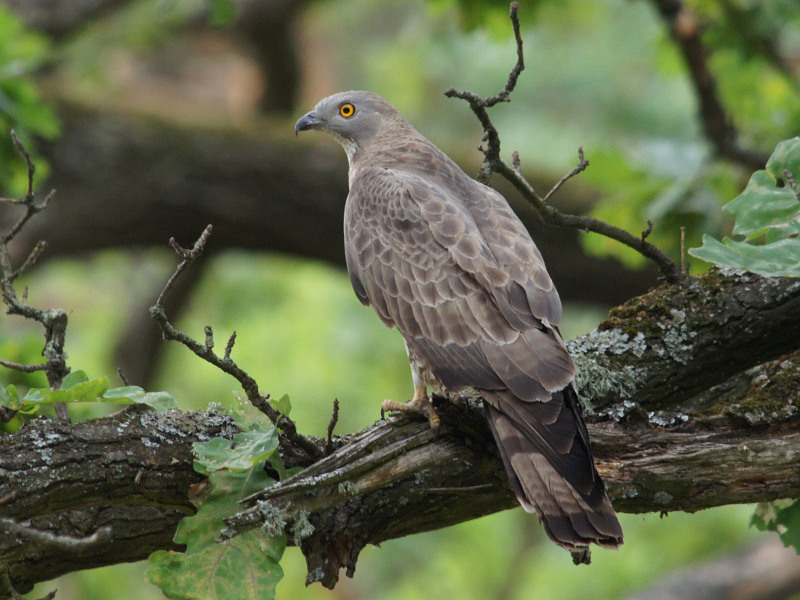 Our guests were astonished with regularity of meetings with these birds in hunting habitats. As in the Desna valley, in the territory of the RLP “Mezhrechensky”, we had a chance to observe the Booted Eagle (very rare in the north of Ukraine) which hunted for gulls, we decided to cancel our visit to the foreste-steppe zone. As a result it was the Short-toed Eagle which was paid the highest interest. On visiting known pairs of the Short-toed Eagles our Slovak colleagues wished to observe the hunting of these birds for reptiles, track their interspecies relations between partners, neighboring pairs and other species of raptors. They have seen all this behaviour and were delighted with communication of this beautiful bird. The only disappointing fact was that the Short-toed Eagle brought their captured prey at the distance up to 8 km therefore searching for the nest would have been taken at least several days for us. That is why we limited themselves only with visits to different areas and observations of birds. 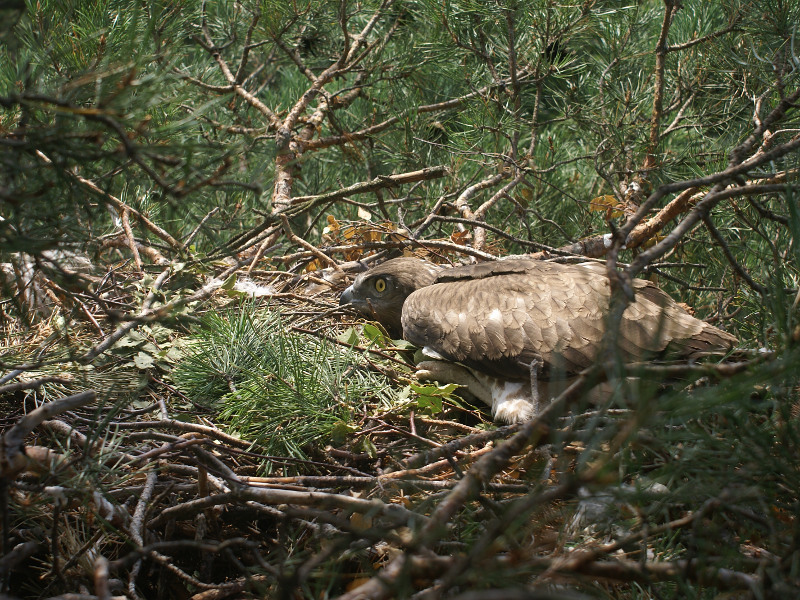 In the RLP “Mezhrechensky” we revealed a new pair of the Short-toed Eagles, and also another new pair was detected at the fish-breeding complex “Krymok” in Zhytomyr Region. 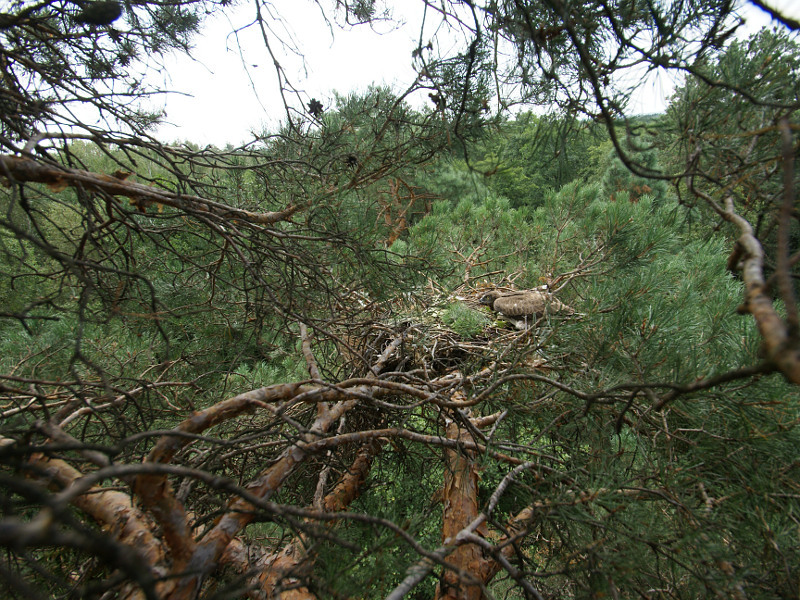 We have found a nest of the Lesser Spotted Eagle situated on a pine-tree. 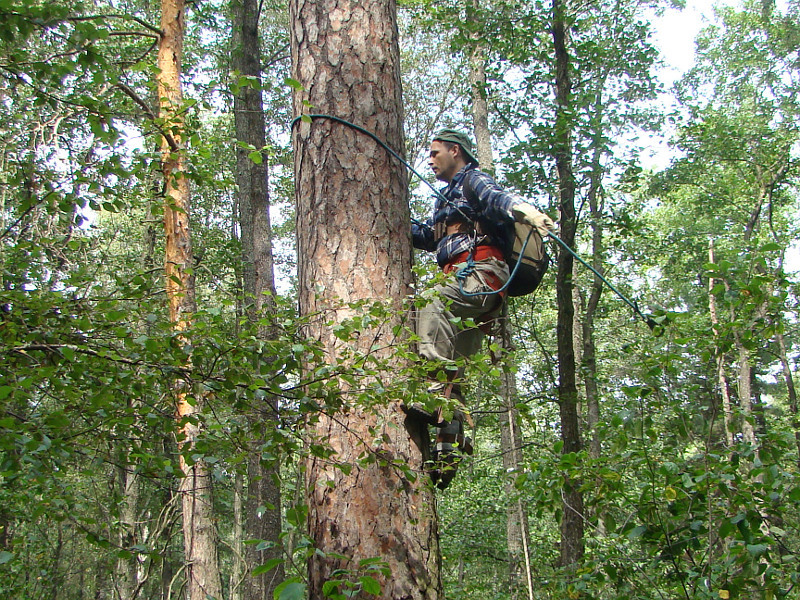 This kind of trees is rarely used by the species for breeding in the investigated area. In the nest there was a quite large chick. In an old nest of the Hooded Crow, located on the power line pylon, we discovered chicks of the Hobby Falcon, looking curiously out of the nest. 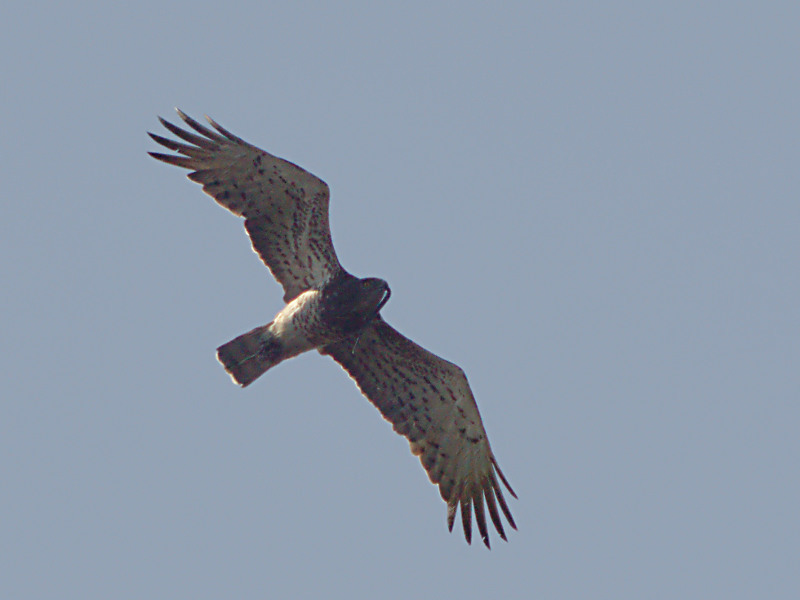 Apart from the Short-toed Eagle we also met other birds of prey. It was counted: Honey Buzzard – 9 особей, из них 7 территориальных птиц; Black Kite – 6 (4); Montagu’s Harrier – 4 (3); Marsh Harrier – 7 (2); Goshawk – 1; Sparrowhawk – 3; Common Buzzard – 20 (10); Short-toed Eagle – 22 (14); Booted Eagle – 1; Spotted Eagle – 12 (11); White-tailed Eagle – 8 adults and 3 juveniles; Hobby Falcon – 10 (7); Common Kestrel – 5 (1).